In recent years, coffee drinkers have far more access to different types of coffee than ever before. The fair trade and direct trade movements have made it more likely that an at-home coffee consumer will get fresh, single origin beans- and know where they come from. But there’s no point in having access to amazing coffee if you don’t have a good method of brewing it for yourself. We’ve compiled a little side-by-side coffee brewing methods comparison of different ways of brewing your coffee at home– how to do it, and what your resulting cup will be like- so that you can make the educated choice about which brew method is right for you and your lifestyle. How it Works: Everybody has probably used a good old Mr. Coffee machine at this point. On the user side, it’s one of the simplest methods: scoop your coffee grounds into the basket, add some cold water into the top of the machine, and press power. Not rocket science. What the coffee is like: While coffee from an at-home brew machine is super convenient, you definitely lose a little quality. Coffee from these machines tends to be flat-bodied and without a lot of depth of flavor. One plus is that the machine keeps your coffee warm for you- but a downside to that is if you don’t get to it quickly enough, that heating mechanism will cause the coffee to taste burnt after a bit. 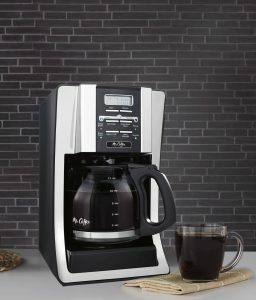 A coffee machine is a great way to get a lot of coffee, fast, but you don’t have a lot of control over all of the variables. If you’ve just purchased some really high-end beans and want to get the most bang for your buck, you should probably eschew the coffee machine. How it Works: When brewing French Press coffee, you’ll want your coffee to be ground very coarsely. Scoop the coffee into the bottom of your French Press, boil some water, and then pour the boiling water carefully over the grounds, and stir gently to ensure that you haven’t got any dry pockets. Replace the top the French Press on the glass carafe, wait four minutes, and then press the plunger with a steady, gentle downward force until all of the grounds are at the bottom of the glass. Serve immediately. 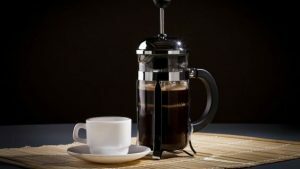 What the coffee is like: Some people really swear by French Press coffee, but for others it’s an acquired taste. This method of brewing allows for the coffee to have a lot of texture- both in a silty way (some grounds that are just too fine will remain in the liquid of your coffee), and an oily way (this method of brewing allows for lots of oils to remain in the coffee as well). One drawback of the French Press method is that the coffee will not be piping-hot for a long time- after you pour your boiling water into the press, it’s still four minutes before you can start on your drink, and by your second cup, the coffee might be on the lukewarm side. How it works: We’ve discussed the procedural intricacies and eccentricities of the traditional pour-over method of brewing on this website before. 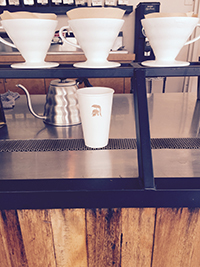 Pour-over coffee is usually produced one cup at a time, but you’ve got some choice in your brand of equipment. Three of the most popular types of pour-over coffee makers are the Kalita Wave, the Hario V60, and the Melitta Dripper. To craft your pour-over, grind your coffee and pour it into an already-wet paper filter in your chosen dripper. Then, use boiling water to saturate the grounds, first just letting the grounds bloom, then inundating them with enough water to get a steady-drip through (easier said than done- be sure to check out our more lengthy how-to guide on making pour-over coffee for further guidance). What the coffee is like: A good pour-over, featuring fresh, well-roasted, and appropriately ground beans, is one of the best ways to really taste the nuances of your cup of coffee. The texture, if produced correctly, will contain a good amount of oil from the beans, but not much in the way of silt or grounds. How it works: Relatively new on the scene of at-home coffee makers, but rapidly adopted by connoisseurs, the Aeropress represents a marriage of twenty-first century technological know-how and traditional coffee-making. The Aeropress was invented in the Bay Area in 2005: it is comprised of two lightweight plastic cylinders and a plastic filter, as well as necessitating a small, dense paper filter on top of the plastic one. To produce your cup of coffee, you place moderately fine coffee grounds into the cylinder with the filters attached to the bottom. You add boiling water (though the inventor of the Aeropress recommends slightly cooler water than you’d use for other methods- perhaps only around 180 degrees Fahrenheit), then stir the grounds to agitate them. Then you place the other cylinder, which has a rubber plunger one on side, plunger-side down, creating a seal. Wait one minute and then push the plunger down until you hear a hissing sound. This method of brewing has become very popular among travelers and campers, due to its lightweight portability, lack of breakable parts, and the fact that it doesn’t require electricity. What the coffee is like: Coffee from an Aeropress has a higher pH than drip coffee from a percolating machine typically does, making the cup a little less acidic than you might be used to (good news for caffeine hounds with sensitive stomachs!). Even though the “pressing” motion of this method is reminiscent of the French press, the dense paper filter keeps any sedimentary texture from the cup. 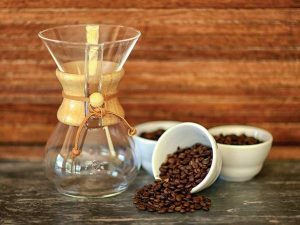 The last of at-home brew comparisons features two of what are likely the most stylish methods of brewing coffee, looks-wise: the Moka pot (also known as the macchinetta) and the Chemex. Both have won awards for their design and have been displayed in museums- most prominently New York’s Museum of Modern Art. And both could be considered fairly timeless- they were invented in 1933 and 1941, respectively, and are still quite popular today- that’s some staying power! So if you’re looking to make a statement about the way you drink your coffee and add an artistic artifact to your household, look no further. How it works: Marketed as a stovetop espresso maker and wildly popular throughout Europe, the Moka pot is a three-compartment coffeemaker that you use on the stove. You place water in the lowest compartment, fine coffee grounds in the middle compartment, and boil the water over medium heat. The pressure of the boiling water forces it through the coffee compartment and into the topmost compartment. What the coffee is like: We’ll be honest- The Macchinetta makes an amazingly strong and distinctive coffee, but the syrupy, espresso-like liquid isn’t going to be the best way to highlight the qualities of your bean. You will get some crema on your coffee, like espresso from a machine, but not quite as much, as the espresso won’t have experienced such high pressure. And beware- this coffee is not for the faint of heart. If one cup of machine-brewed stuff is all you usually need, a Moka pot might be overkill for you. Caffeine hounds will absolutely appreciate the strength of the brew and the speed with which you can get it. How it works: The Chemex brewing method is, in its essence, a pourover method of brewing, albeit with a very particular piece of equipment. The Chemex is iconic- the conic aperture makes for great design and also gives you a slightly different brew than you’ll get with most pourover drippers. As with those drippers, however, you’ll want to grind your beans to a moderate fineness, then pour to allow for the bloom. With a Chemex, you can use paper filters or a laser-punched metal filter. What the coffee is like: This can depend, dramatically, on which filter you decide to use. Across the board, critics generally praise what comes out of a Chemex. However, if you’ve used the strong, thick paper filters, then you’ll have a cup of coffee largely devoid of oil- very clean, and excellent for tasting your bean of choice without distractions. If you’ve used a metal filter (like the Kone brand made for Chemex coffeemakers), you’ll still come away with excellent flavor, but you’ll have to have find in a very textured cup of coffee- lots of oils will get through the pourover, as well as fine grounds that are likely to settle in the bottom of your cup. It probably won’t be as textured and silty as a French Press-brewed cup of coffee, but it’ll be close. One added bonus of a Chemex is that you tend to be able to make more coffee in one batch conveniently while still maintaining the pourover-like quality- so this is a good one to reach for when you have friends with discerning tastes over. Our recommendation? Simply visit your local coffee roaster, grab a bag of your favorite roast and sample a cup from each method. 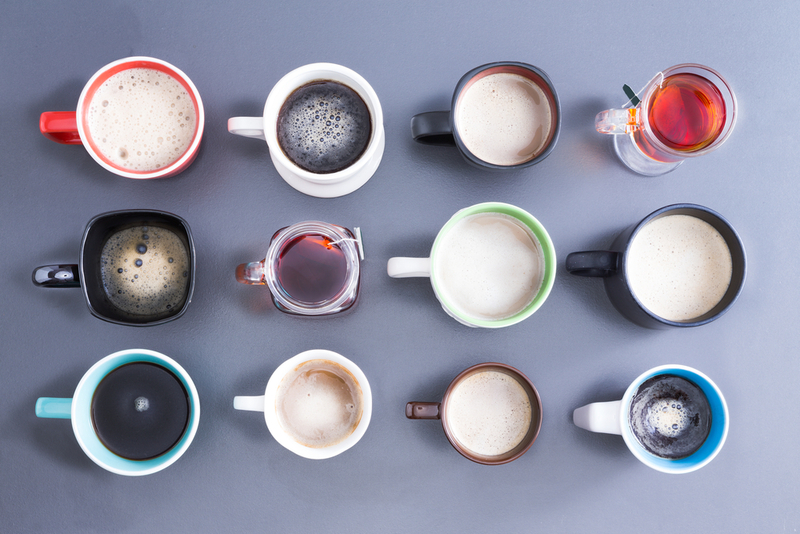 You can’t go wrong with any of thesecoffee brewing types.